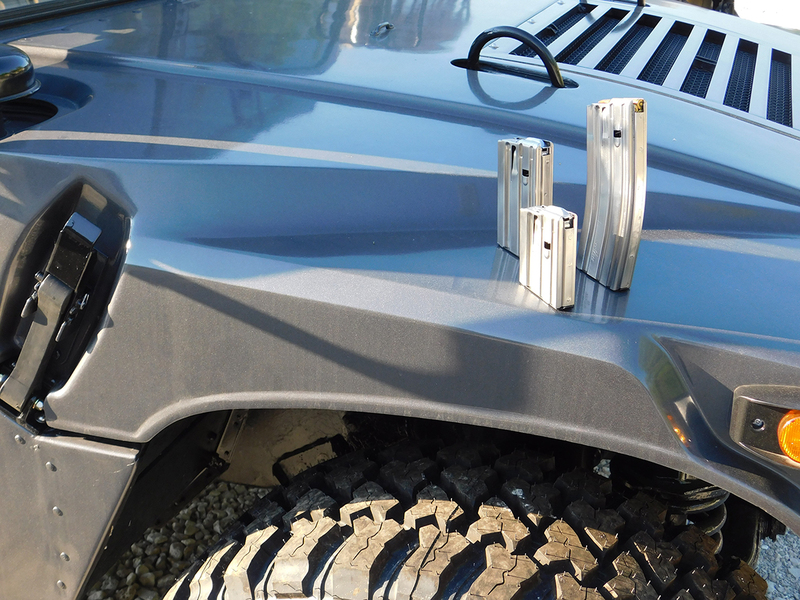 If you would like your name to be entered on our back order list, please send us a message on our contact page. 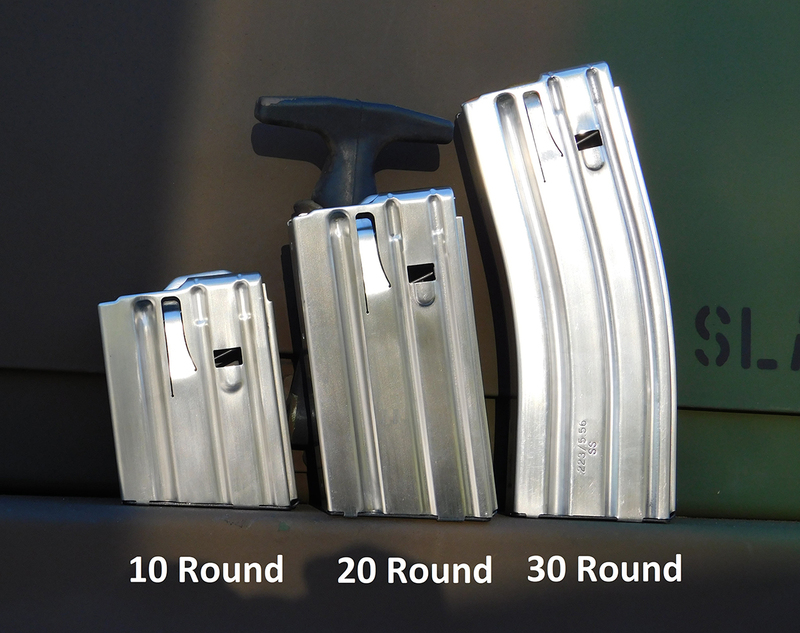 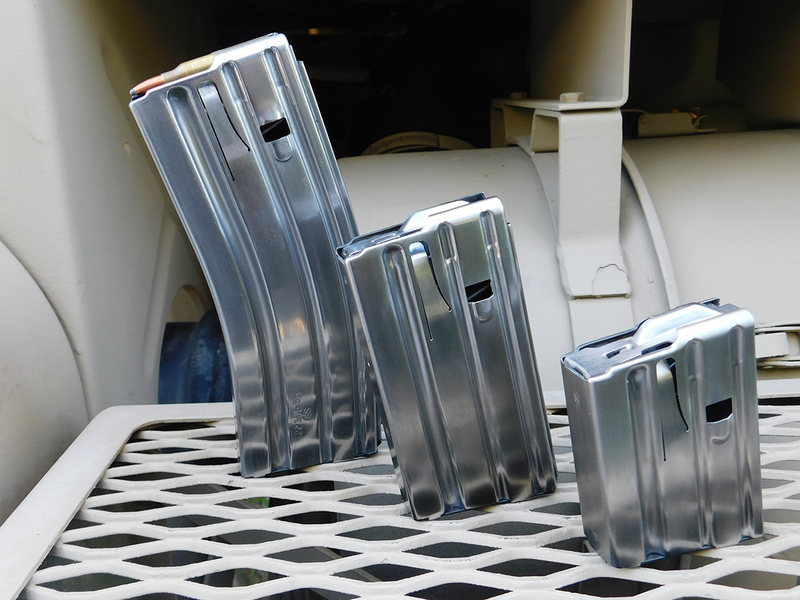 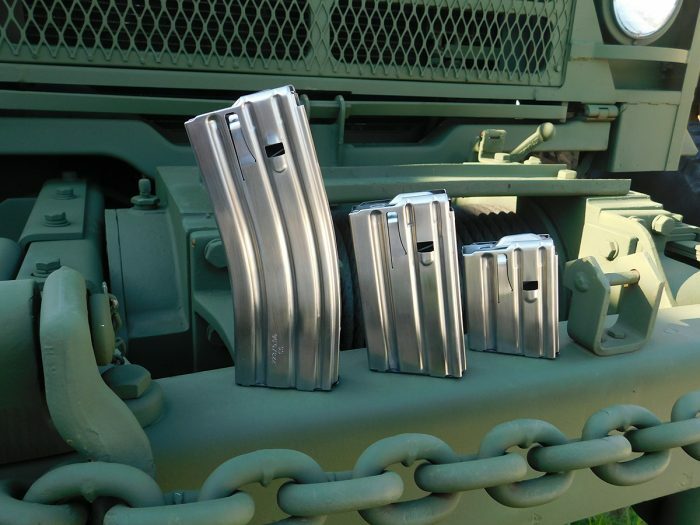 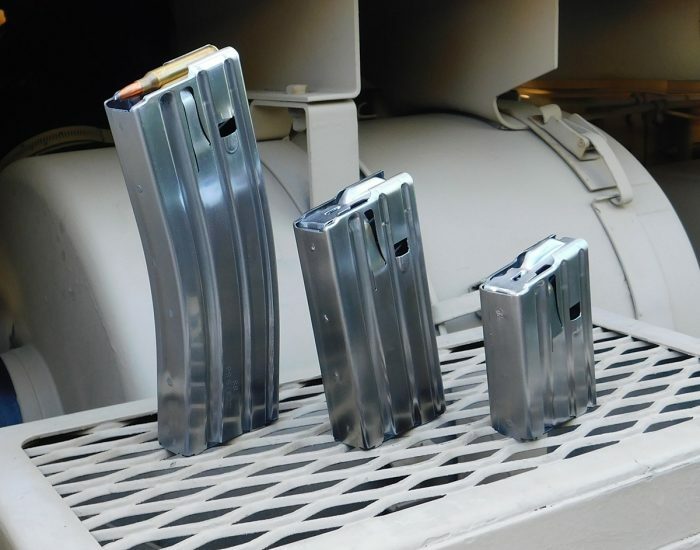 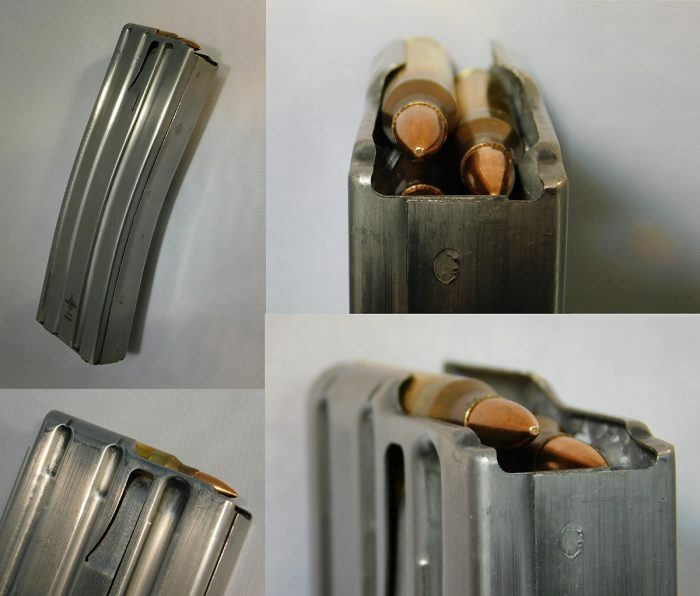 Gun Pro’s AR Magazines are simply the highest quality and most reliable period. 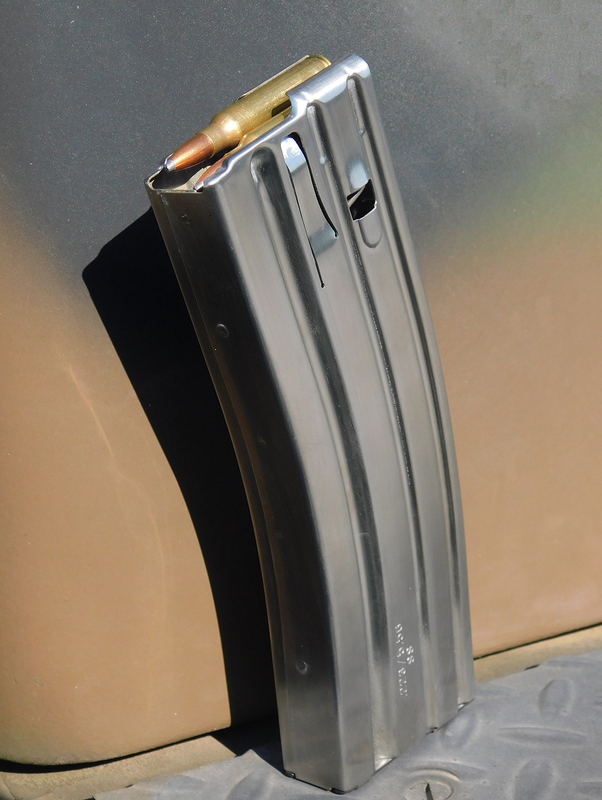 This reliability has been built into the magazine utilizing Gun Pro’s patented assist spring tabs that stop nose-dives and low round bounce in rapid and full auto fire. 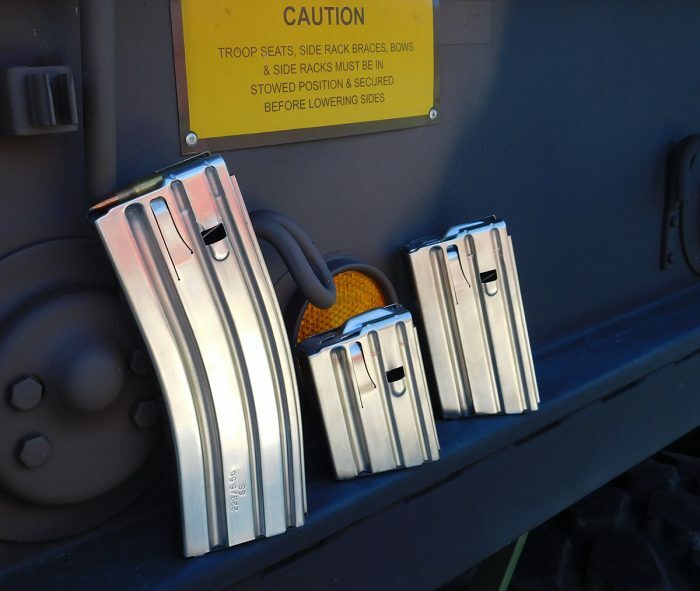 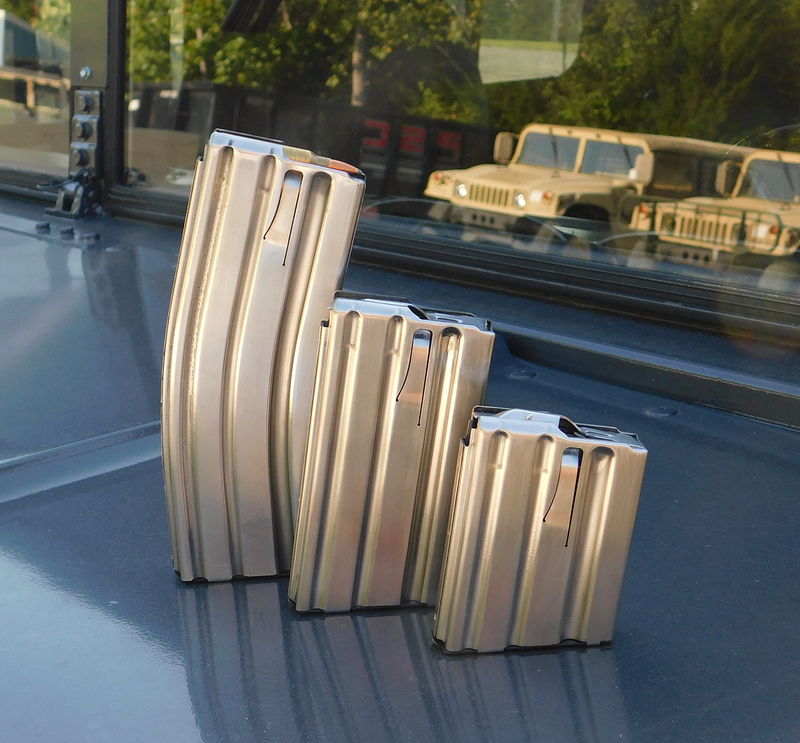 Gun Pro utilizes stainless steel magazines with stainless followers and quality, proprietary crossover magazine springs that give even greater stability to the anti-tilt follower therefore stabilizing the cartridges against the magazine feed lips. 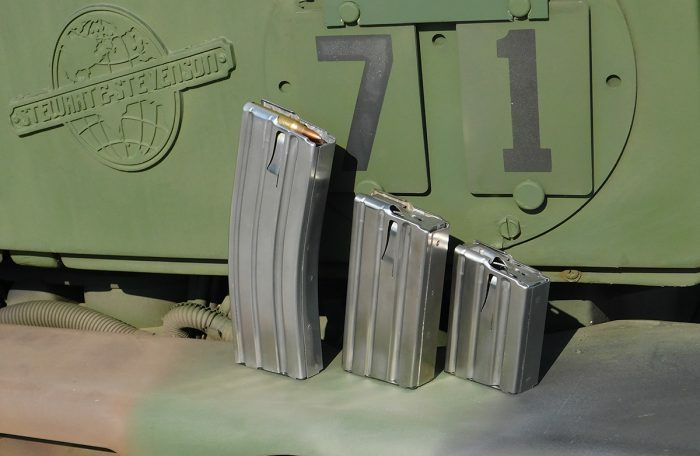 This combination of unique features provides the operator with uncompromised fail free magazines during rapid firing or cyclic full-auto fire in every size AR magazine available. 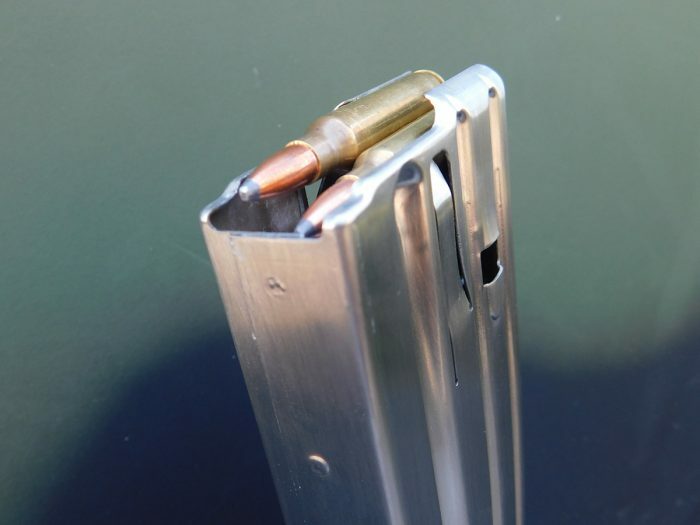 Without this combination of unique features, the cartridges move unevenly up and down the magazine which can lead to the nose of the cartridge, or the back of the cartridge, hanging up during the loading/charging process. 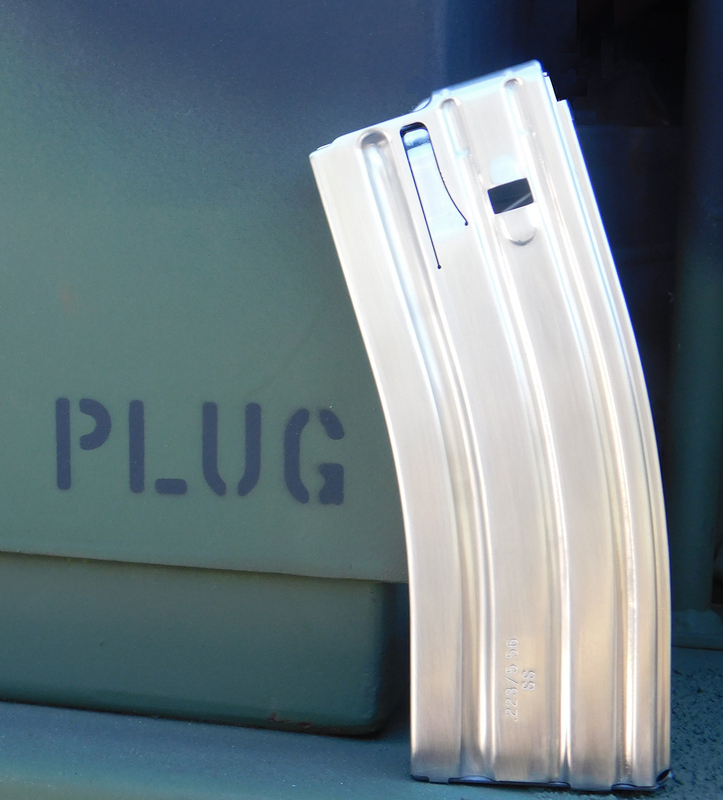 This uneven feeding, or “bouncing”, can also cause cartridges to slip past the feed lips during the loading cycle, causing double feeds. Gun Pro literally stopped cartridge bounce and uneven feeding in it’s tracks with their proprietary assist spring tabs incorporated into each side of the magazine. 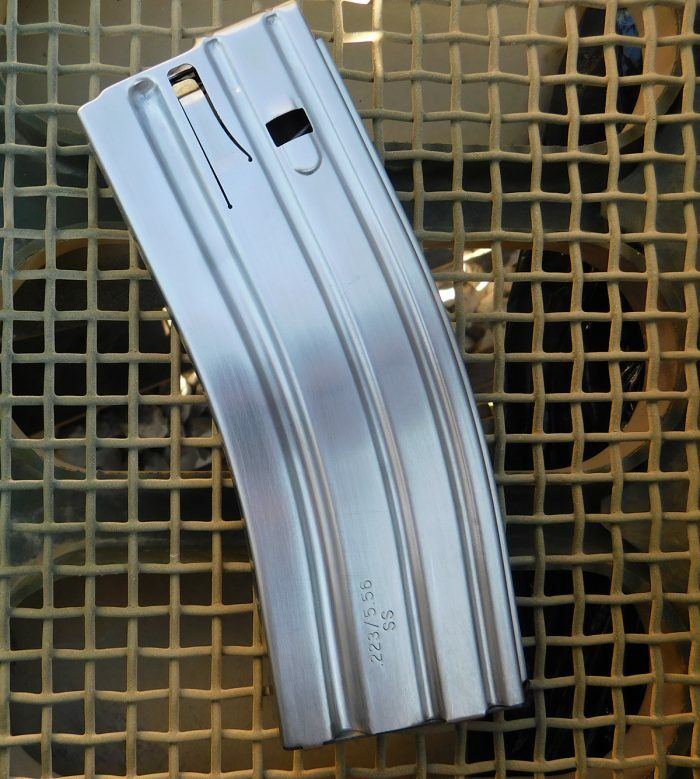 As each cartridge exits the magazine, the next opposing assist spring stabilizes and supports the following cartridge, thereby allowing for an identical stable feed alignment whether the magazine is full or is down to its final round.